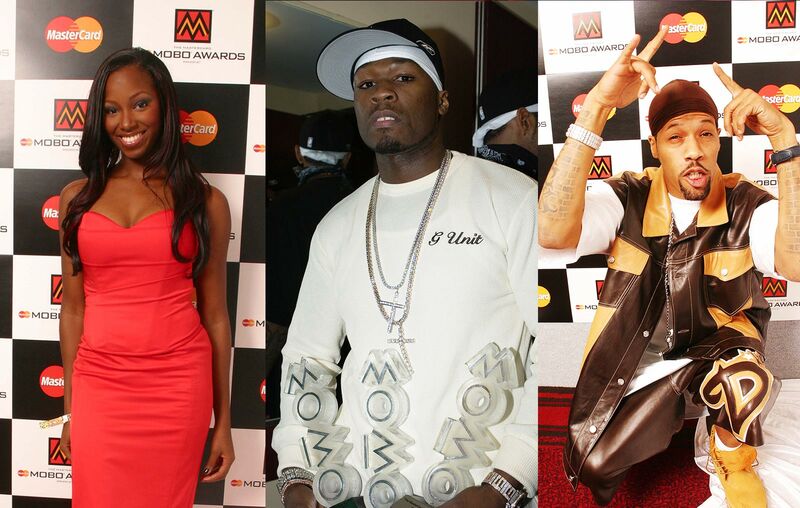 Hosted by Blu Cantrell and Lil’ Kim, 2003 was sensational for the MOBO Awards. Justin Timberlake arrived as the suavest thing we’d seen for years, while 50 Cent’s $1m record deal with Aftermath/Shady bore its fruits in a glorious way - the rapper winning three awards on the night (pictured above). Christina Aguilera’s lead single from Stripped, ‘Dirrty’, won Best Video – a now-classic which saw her eliminate that girl next door image from her previous albums. Big Brovaz beat Terri Walker, Floetry, Lisa Maffia and Dizzee Rascal to the Best Newcomer gong, while there was little dispute that Neptunes took away the Best Producer MOBO Award. Kool and The Gang and George Benson made special appearances along with Lil’ Kim, to pick up Outstanding Achievement, Lifetime Achievement and MOBO Fashion Icon respectively.